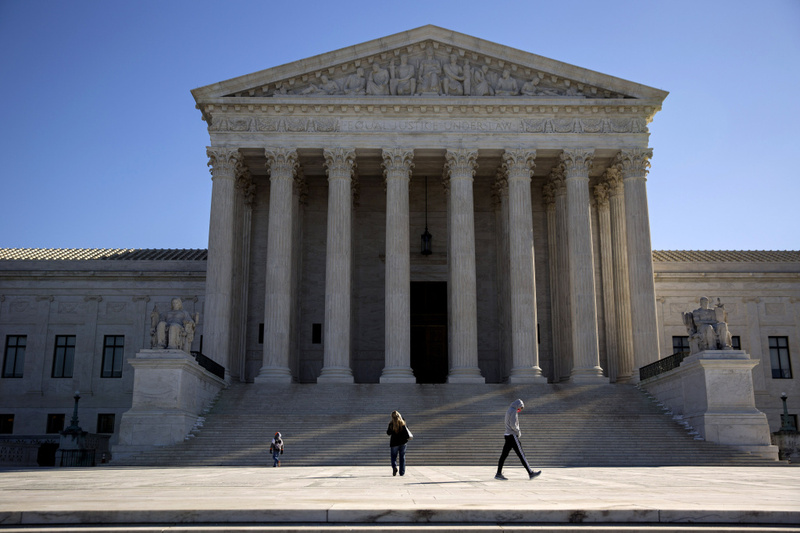 Visitors walk outside the U.S. Supreme Court on Feb. 14. Over a year after Trump limited travel from five mostly predominantly Muslim countries in a third iteration of the “travel ban,” the Supreme Court is taking up the issue in Trump v. Hawaii. Oral arguments are set for Wednesday, April 25, in a case that will test the limits of presidential power over immigration. The court will have to decide whether the travel restrictions are rooted in anti-Muslim animus and are discriminatory, whether the case can be considered for judicial review and whether the lower courts injunctions on enforcement of the travel ban where too sweeping. We get a preview of the arguments and explore the potential repercussions of the court’s decision.